My great grandfather was James Elder, born in Dysart Fife Scotland, and settled in Cincinnati Ohio, Hamilton County. He married Elizabeth Young in 1865 in Scotland. William, James, Isabella, John, David, Elizabeth and George. Roll: M593_1213; Page: 137; Image: 274. Martin MILLER Other 30 IRELAND Wrk. At Pottery IRE. IRE. Hugh GREENE Other 34 SCOTTL. Wrk. At Pottery IRE. IRE. John TURNER Other 28 Wrk. At Pottery ENG. ENG. Roll: T623 982; Page: 11B; Enumeration District: 74. Roll: T624_896; Page: 6A; Enumeration District: 75; Image: 1097.
the names of their last 2 children, Elizabeth and John! Roll: T625_1052; Page: 15A; Enumeration District: 78; Image: 1134. 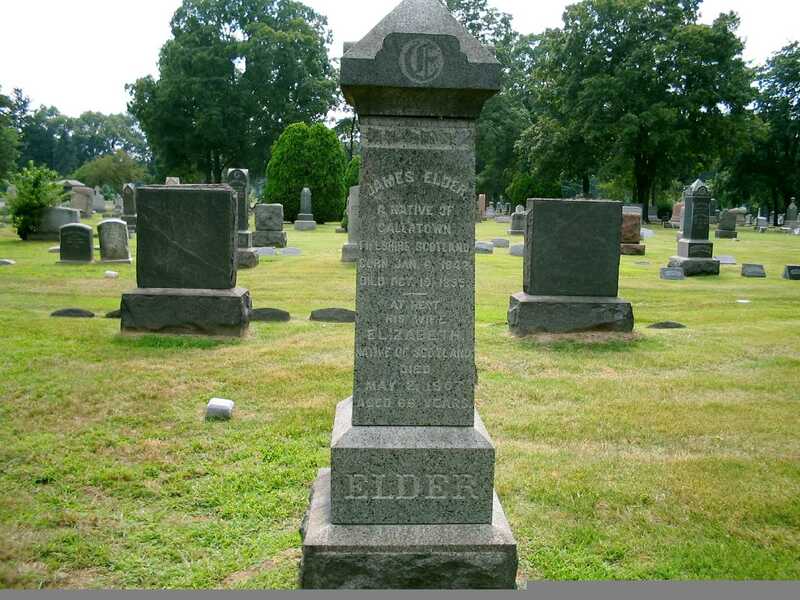 James Elder 22 (son-in-law) should be son? Roll: T625_1054; Page: 10A; Enumeration District: 106; Image: 1119.